Saturday, May 21, Classical KUSC producer and well-known radio personality Gail Eichenthal will host a panel entitled Remembering Piatigorsky at the Piatigorsky International Cello Festival. 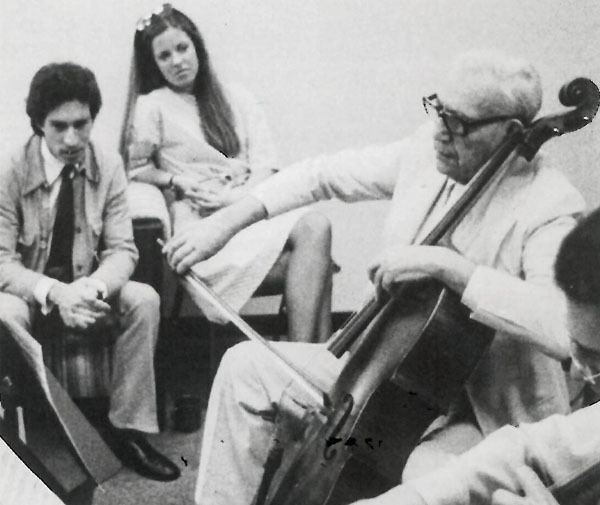 At the free event, several of Gregor Piatigorsky’s former students, including Laurence Lesser, Mischa Maisky, Jeffrey Solow, and Raphael Wallfisch, will reminisce about their mentor and share archival images and video clips from the cellist’s life. Recently, the KUSC radio program Thornton Center Stage featured an episode in tribute to Piatigorsky, whose teaching at USC Thornton influenced a generation of string musicians. The episode features performances and interviews with Thornton alumni, including Laurence Lesser, Michael Tilson Thomas, and Piatigorsky’s assistant and former Thornton faculty member, Nathaniel Rosen. Gregor Piatigorsky had no small influence on the cultural life of Los Angeles. The following history of the cellist’s life and work in the city is drawn from an article in the Piatigorsky International Cello Festival program book, written by recent USC Thornton Musicology alum Keenan Reesor (MM ’10, DMA ’16) “Piatigorsky comes to Los Angeles”), with images and assistance from the Piatigorsky Archives at the Colburn School. Piatigorsky’s success as a performer was only the beginning of a relationship with Los Angeles that grew deeper and more multifaceted as time went on. While its distance from such centers on the East Coast and in Europe was keenly felt, Los Angeles had an eager and increasingly well-funded audience for classical music. 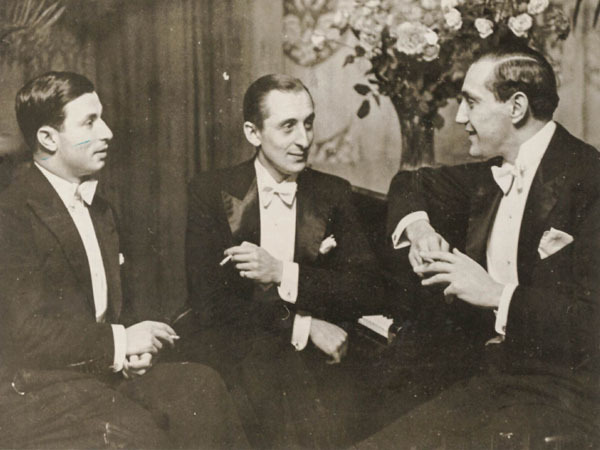 After his first performance, the Los Angeles Times named him as one of “three young Russian geniuses” whose performances had contributed to a “renaissance” of musical interest in Los Angeles, and in his second season, critic Edwin Schallert called Piatigorsky’s performance epoch-making. In 1949, Piatigorsky, now an American citizen, bought a home in the Westside Los Angeles suburb of Brentwood, where he would live for the rest of his life. Though originally a political refugee of the Soviet Union, his international success—to say nothing of his marriage to a Rothschild—placed him in a different social milieu than the broader émigré community in Los Angeles, which included numerous eminent European creative artists. By the mid-1950s, Piatigorsky’s artistry had begun to assume civic importance. To his regular performances were added those at public events, such as the memorial service for Albert Einstein held at UCLA in May 1955. Piatigorsky began cultivate local musical talent by judging competitions, supporting the Los Angeles Junior Philharmonic, serving as president of the Young Musicians Foundation and more. Ready to devote a significant portion of his time and energy to regular teaching—which he considered it an integral part of his personal and artistic development—he joined the faculty at the University of Southern California in 1962. Piatigorsky died of cancer in his home on August 6, 1976. Piatigorsky belonged to the world, but no single place in the world has greater claim on him than Los Angeles. Keenan Reesor’s complete article on Gregor Piatigorsky’s legacy in Los Angeles can be read in the official program of the Piatigorsky International Cello Festival, which is available for purchase at Festival events.